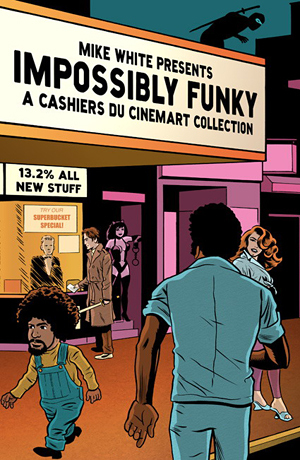 I haven’t had much free time lately but last weekend I set aside one afternoon to do some end of the summer reading and one of the books I enjoyed was Mike White’s Impossibly Funky: A Cashiers du Cinemart Collection. The book is a great read and I think anyone who appreciates the variety of films that I cover here at Cinebeats will probably enjoy White’s book as well, which contains his controversial look at Quentin Tarantino’s films, an entire chapter devoted to script writers, reviews of obscure films as well as Hollywood hits and misses, interviews with various directors and actors, as well as a lengthy appreciation of one of my favorite blaxploitation films, Black Shampoo (Greydon Clark; 1976). You can find my review of Impossibly Funky: A Cashiers du Cinemart Collection over at TCM’s Movie Morlocks blog this week.